Black Friday shopping can be intense. You should not go without a plan. You should not go without supplies. Be prepared. This post is sponsored by Shopular. I received a survival kit and compensation for this post, but all opinions are my own. I have only ventured out a few times on Black Friday. It wasn’t pretty because I did not have a good plan, and I was definitely lacking supplies. I went with a girlfriend, and we lasted about an hour. It was pretty comical because it was a rookie mistake. Black Friday can be a shopper’s dream when it comes to scoring some great deals. You just have to be ready for it! Shopular App: This should already be an app you use regardless if you plan to shop on Black Friday. It can help you find the best savings at all your favorite stores anytime. This mobile coupon app can help you plan your shopping trip. With the click of a button, you can view all the hottest coupons and savings no matter which store you happen to wander into along the way. Reusable Shopular Tote: Since you will be saving money, you should also save some plastic! No need for plastic shopping bags when you bring your own tote bags. Shopular’s oversized tote is great for stashing many items. Stress Ball: Resist the urge to reach out and poke someone while standing in long lines. Just take out your stress ball to relieve some anxiety. Crazy Rumors Lip Balm: Don’t let frigid temps wreck your lips while Black Friday shopping. This natural vegan lip balm, made with certified organic ingredients, not only soothes chapped lips, it also smells and tastes fantastic. Use promo code: Shopular to save 20% off. Quest Bars: Fuel is necessary while power-shopping. Don’t let sudden hunger pangs allow you to miss out on a fab deal. On-the-go Quest Bars are easy to toss in your purse for quick and easy nutrition. P.S. The cookie dough bar is my favorite bar on the planet. Foot Petals: Running from store to store is bound to make your feet sore. Take a little of the pressure off with cushion-y plush insoles. Made with PORON, which repels moisture, bacteria and odor, absorbs shock, and is available in colors that blend with the color of shoes. Vermints: Keep your mouth feeling fresh with organic, non-GMO, nut-free, kosher, and gluten-free Vermints. You also want fresh breath in case you run face-first into any other savvy shoppers. Use code: A07MGX0M1D6B for 25% off until December 31, 2014. Simbihaiti Hair Bracelets: It will be early, and you will most likely still have way too much tryptophan pumping through your veins. Don’t let your hair get in your way. Pull it back into a neat and chic do with a stylish hair band. Each purchase sold keeps Haitians employed and helps raise money to install water filtration systems throughout the country. Dearfoams: Ah yes. 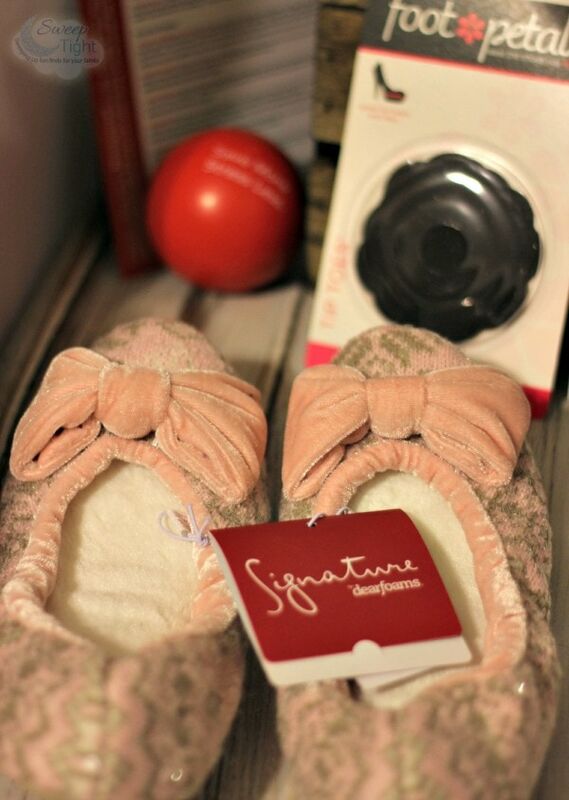 As soon as you arrive back home, pamper your feet with cozy, comfy, and warm slippers from Dearfoams. You deserve it. Created in 1947, Dearfoams is one of the world’s most recognized lifestyle brands. Cosmetic Boulevard: Treat yourself to some additional pampering with a coffee scrub to revitalize your senses after such a long day. It contains all-natural ingredients that will moisturize and exfoliate your skin. The ingredients actively target cellulite, stretch marks, acne & eczema with caffeine from only the best Robusta beans. Sounds like something I will be using all of the time! With this kit, I feel a lot better about tackling the Black Friday crowds. With my Shopular app, I will have a plan down pat before even leaving the house. Create your own kit and have fun with it! Do you plan to go Black Friday shopping this year? Have any tips for us? We are still debating on weather to go our or not, but we went last year and my tip is have game plan, say organized, and go with a few people. Also coffee! Lots of it. I am doing black Friday shopping, but all the deals I am planning on using are online! I have never done any in store black Friday shopping. I can only imagine how crazy it can be though! This is hilarious. I am not doing Black Friday this year because I will be traveling, but I will have to remember this for next year. Great post, shopping take a lot out of you! I wouldn’t ever forget food gels or lip balm myself! No, I never shop on Black Friday. I rather wait for Cyber Monday. I hate crowds. But if I were going this would be the perfect kit to get me through. I could definitely use the stress ball for Black Friday. Big time. Shopular is great, and I can’t wait to use it for Black Friday. Now I’ll be able to see exactly what store is having what deal. Dearfoams are a definite must after hoofing it around all day and fighting with the crowds. Great kit! I would need the Dearfoams for sure with all the walking and standing in line! At least this app would make shopping easier. Lol… this is great! A Black Friday Survival Kit! I’m definitely passing this one on to my fellow Black Friday shoppers! I have never been Black Friday shopping. I would love to go this year and see what it is like. I think this is a great survival kit. Those dearfoam slippers!! What a great survival kit you got! Love the slippers. This is a good little kit to have on any long day of shopping. Excellent ideas- The cold weather hit us with a vengeance so I have already stocked my coat pockets, car, and purse with lip balm and cough drops. This survival kit is perfect! 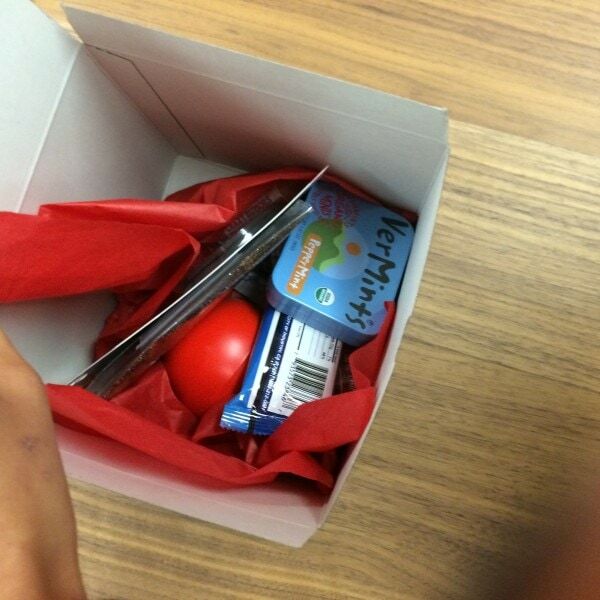 I especially need the stress ball lol! I LOVE THIS. What a great survival kit for Black friday shoppers. 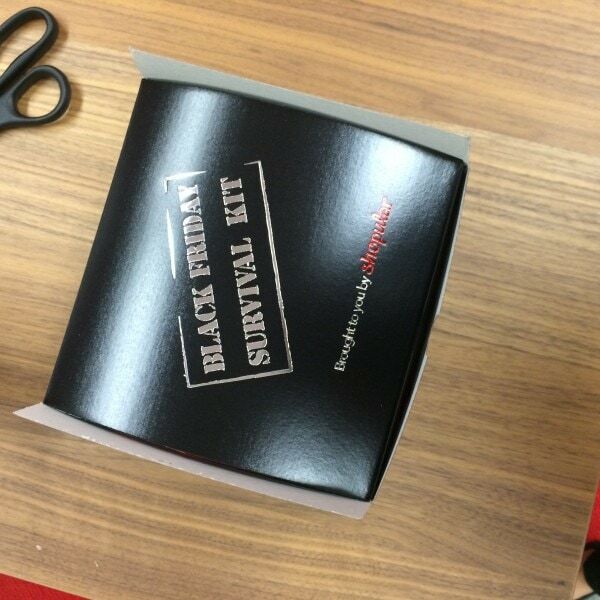 The fact that there are survival kits available makes me nervous for Black Friday. Lol. I love this idea! This is a really fun idea for Thanksgiving favors! I like it!! You rock! You got some awesome tips. I’m definitely going to do Black Friday shopping so a survival kit is a must! Getting ready for this big day! Love the hunt and the thrill of saving money. I’m hoping to have money on black Friday this year LOL. My mom takes it really serious and hits a ton of stores. This kit could not get any better! I’d love one too for all that shopping I’m bout’ to do! I have not shopped Black Friday, now I have worked it at Best Buy and it is freaking CRAZY! This is a great kit, I love the Dearfoams. I did not go shopping on Black Friday, my advice is wait until Cyber Monday and go shopping online. Thank you for sharing this post that’s a great kit.